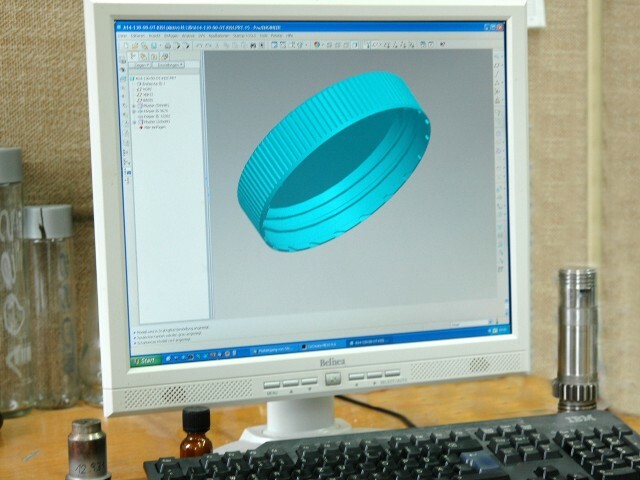 Based on customer specific requirements and the support of advanced CAD systems, closure designs and respective moulds are developed in the R&D department by our skilled and experienced technicians since more than 60 years now. Patents and rewards prove the competence of our design department. 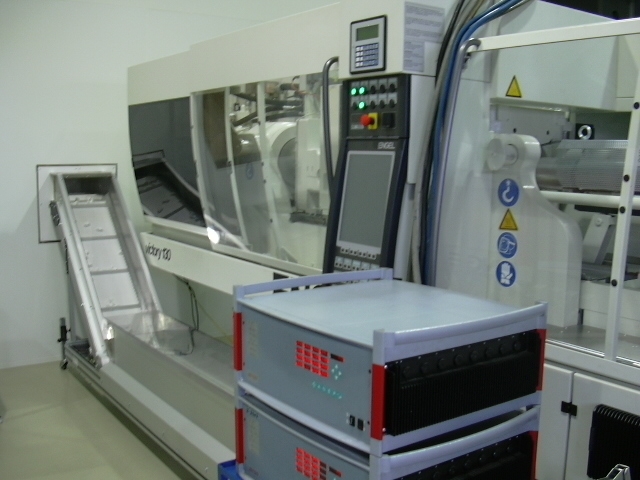 In house mould manufacturing in Kremsmünster ensures flexibility, speed and quality in building prototype and production tools for injection moulding. The commitment to quality is not only a major issue within the production departments. The quality of the part design and mould design has a huge influence to achieve a capable mould-process and therefor quality management starts at the beginning of every new project. The development, the tool design, the tool making, the injection moulding and the quality department are working together as a close team to maximise the output of development projects. All production is concentrated in our plant at Kremsmünster, Austria. An injection moulding department, assembling department and decoration produce high quality packaging parts using newest technology. we are using exclusively approved resin and colour grades, where the resin is stored in silos and transported to the machine pneumatically. The colour blending is done directly in the machine. a computer-aided monitoring system of production parameters of every mould cycle has been developed to our demands end enables us to trace back the root cause of every defect caused by the process. It is also helpful to optimise the process. In 2008 our production department included certified clean room facilities for packaging with high requirement on cleanliness are available. 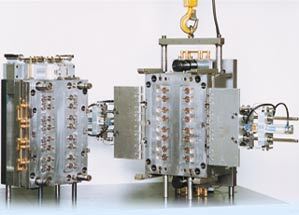 This is in addition to our production under Laminar Flow conditions and for items with high requirements on cleanliness. 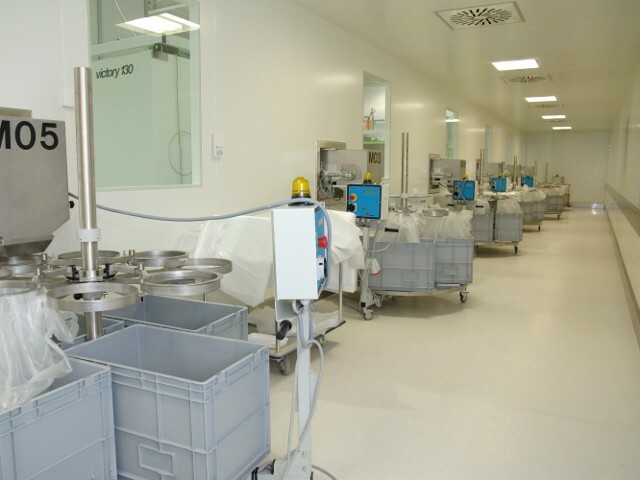 This investment is part of our strategy to cope with the increasing demands of pharmaceutical customers. Pad printing of closures and lids with up to 3 colours as well as labelling or specific embossment are available on request. Many years of developing for the packaging industries brought a lot of knowledge about filling lines and the application of packaging materials. 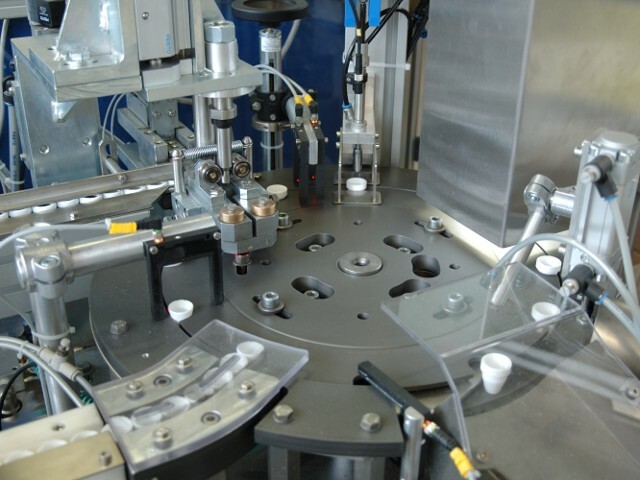 application consultancy to analyse problems on the filling line caused by the cap, the bottle or the equipment to maker proposals for improvements.